I received this watch from Wholesome Bling a few weeks ago and it's absolutely gorgeous! It's so unusual and gets quite a lot of compliments! The strap is made of fabric and theres so many more colours and patterns to choose from but i obviously went for the Leopard print. 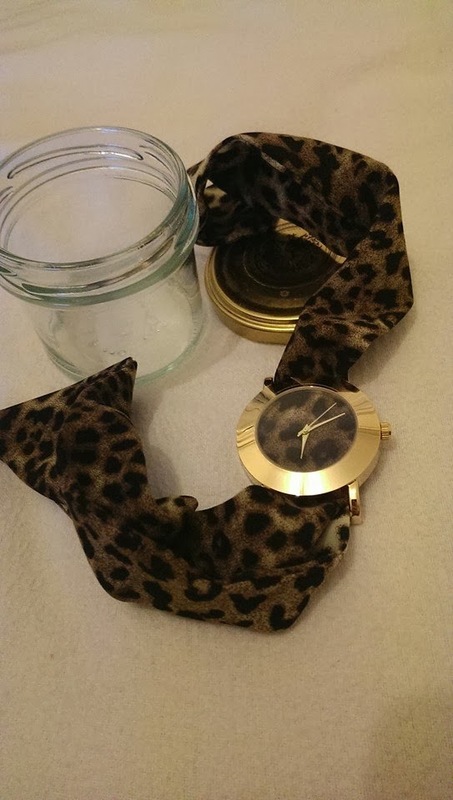 It's arrives in a little jar which is handy for storing when you're not wearing it. 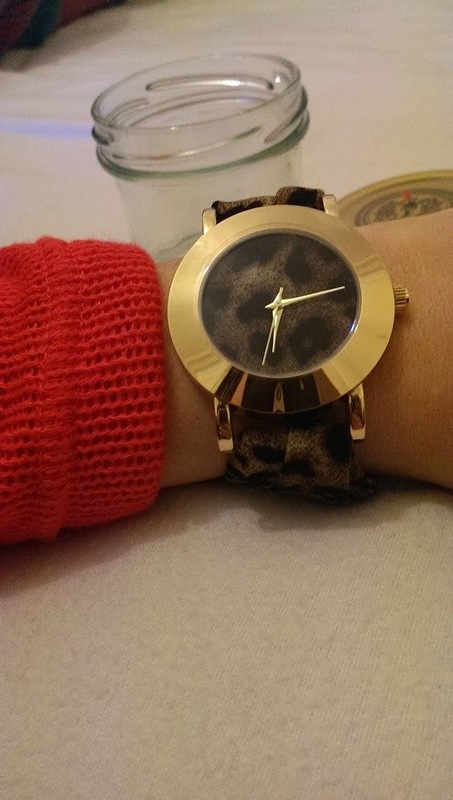 Very nice watches, check out there Facebook page for more photo's from customers! Love it! That is so cute!! 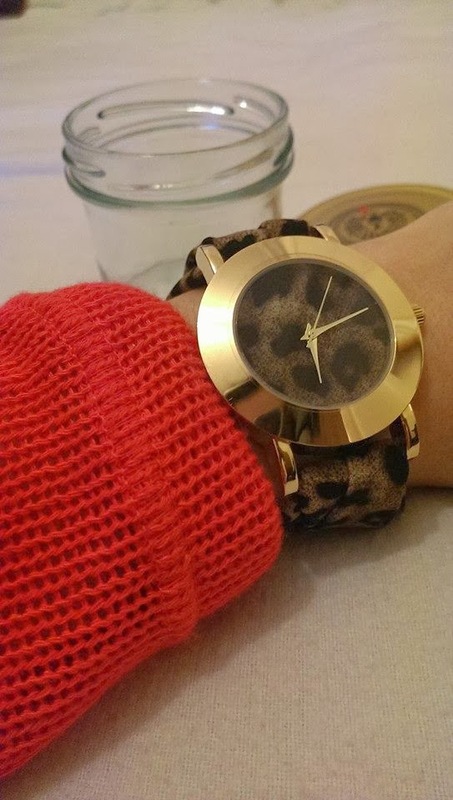 My two favourite things together, leopard print & bling. Stunning alternative to typical watches! This is an amazing idea, and I love the little storage pot too, what a cute idea! 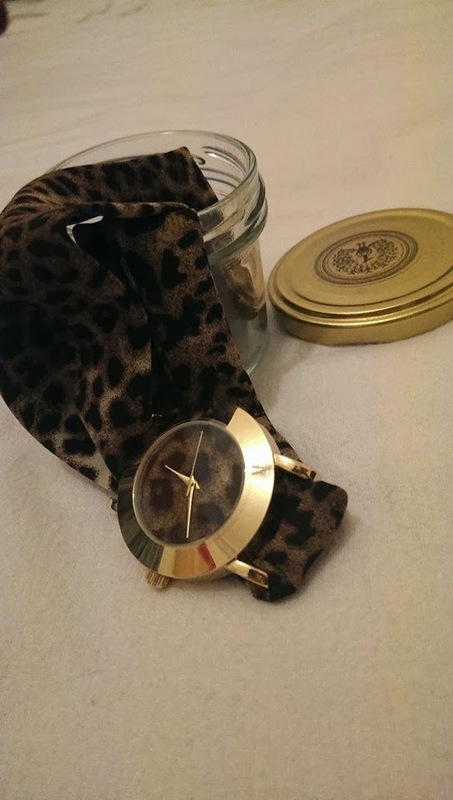 love the watch, i'm a big sucker for leopard! It is an unusual watch. Wow how unusual but gorgeous! Loving leopard print at the moment! I love the fact that it arrives in a jar. This watch looks really unique, I might have to get one myself. I'll have a look at what other patterns they have. Julien Macdonald spring '14 ready to wear..
a year in outfit photos..